I’m always being asked for refurb deals, and to bag nice deals it’s not always easy as they tend to get snapped up pretty quick. But just scouting round on Rightmove and Zoopla this morning. I noticed a decentish property that looks as though it could well be a nice little earner. Its not gonna make you rich overnight but it looks to me like one worth picking up to keep you refurbers busy for the next couple of months. 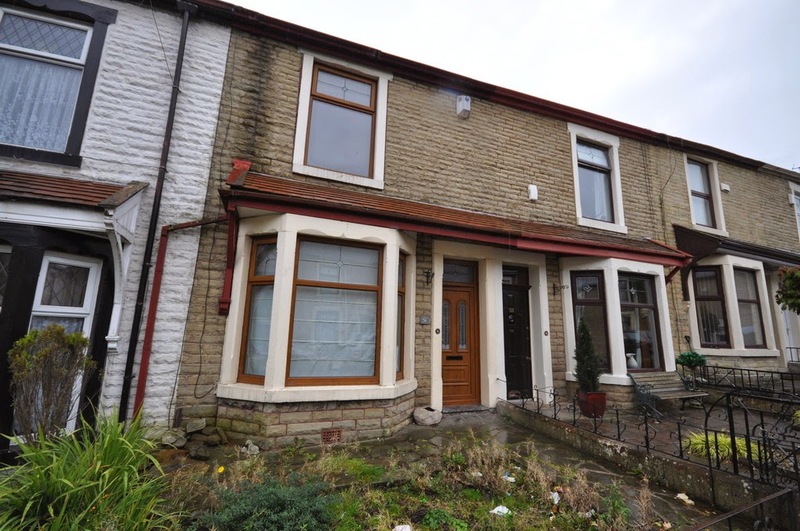 It’s up with two Darwen Estate Agents – YourMove Darwen and Ainsworth Lord Estates. It’s been on the market since middle of October which is over a month now, and not snapped up. So it needs a good looking at with a critical eye cos something that’s been on for a over a month and not sold may have issues? Then just looking at it again, I notice it’s been reduced from its original asking price of £75k… so its been dropped twice – £5k each time to £65k- that could well explain why its not gone yet mmmmmm? So what would it be worth when its been refurbed to a ‘good’ standard.? Well I asked Deborah our sales director who is one of the agents selling it and she reckons with a nice refurb job done on it it’s worth around the £100k mark. But she also stressed it neds to be a nice job, not a cheap job! £10-£15k for a couple of months work? So I reckon a fat £20k spend on it should do the job. Given it’s been dropped form £75k to £65k with a £20k spend will mean it stands you at around £85k. So if Debs got £99k for it you woud walk away with between £10-£15k profit. Not bad for a couple of months work (tax free if you box clever)? So go have a look and make the offer, see if you can get it for £65 or thereabouts. I should imagine with the price reduction the interest levels have spiked a bit. Certainly don’t go over £70k as the risk becomes a bit too fine. And I always say refurb deals aren’t worth bothering with if you can’t clear £10k min.